DENVER, December 13, 2018	(Newswire.com) - The Employment Technology Fund (ETF), a social impact fund focused on breaking down barriers to employment for lower-income adults, announced its investment in PAIRIN to rapidly scale the company’s tools that make education more relevant and hiring more equitable by accelerating the development of employability (soft) skills for people with barriers to employment and de-risking those hires for employers. Denver-based PAIRIN is a fast-growing, social enterprise software company whose products personalize career exploration, professional development and hiring. PAIRIN’s tools not only assess skills directly related to work performance but also match people to optimal job profiles and training programs while providing tools and resources to support people with barriers to employment to become well-prepared, gainfully employed and self-sufficient. Launched with funding and support from four leading foundations, ETF’s mission is to close the employment opportunity gap facing 103 million adults in the United States who lack the skills, training and opportunities to access family-sustaining jobs. In addition to capital, ETF provides founders and CEOs in the portfolio with strategic support to more rapidly scale effective solutions, including validating sales/revenue models, making introductions to potential partners, funding pilots to validate measurable impact and improve solutions, and supporting efforts to raise additional capital. With additional funding from the Walmart Foundation to field test products in the ETF portfolio, the EdTech Center at World Education and PARIN are currently designing 2019 field tests to maximize the impact of PAIRIN products in helping workforce development professionals better serve low-income adults. Field testing will specifically measure improvements for both employers and job seekers using PAIRIN, in the areas of diversity, retention, productivity and promotion. Tests will also measure the effectiveness of remote use of PAIRIN’s 300 online soft-skill micro-lessons to explore opportunities to further improve curriculum and supports for remote learners. Following ETF’s investment, PAIRIN was named one of three 2018 MIT Inclusive Innovation Challenge North American finalists for its work supporting at-risk populations. Out of 1,500 applicants from around the world, finalists best exemplified scalable, working solutions that broaden opportunity and harness technology to include more people in the digital economy. About PAIRIN: PAIRIN is a social enterprise software company whose mission is to make education relevant and hiring equitable. The PAIRIN Readiness Management System™ is the world’s first competency-based talent ecosystem that personalizes career exploration, job matching and professional development. Recognized as a 2018 Outside Magazine’s Best Places to Work winner, the 2017 Denver Chamber of Commerce Start-Up of the Year, the 2017 Colorado Technology Association APEX Emerging Tech Company of the Year and 2017 Colorado Companies to Watch winner, PAIRIN continues to lead the skills-based talent pipeline evolution for education and industry. Find out more at www.PAIRIN.com. About the Employment Technology Fund (ETF): The Employment Technology Fund is the first social impact fund to invest in technology solutions that improve employment opportunity for lower-skilled, lower-income adults in the United States. By shaping the future of work, ETF and its portfolio companies will close the employment opportunity gap facing 103 million adults who lack the skills, training and opportunities to access family-sustaining jobs and meaningful employment, including women, minorities and immigrants. Since launching in August 2017, the fund has made seven investments including Cell-Ed, NorthStar, SkillSmart, Nepris, Signal Vine, Care Academy and PAIRIN. The fund’s investors include the Walmart Foundation, The Rockefeller Foundation, Joyce Foundation, The W.K. Kellogg Foundation and the ECMC Foundation. 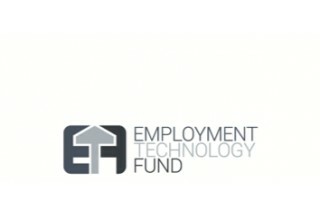 Learn more at www.employmenttechnologyfund.com. 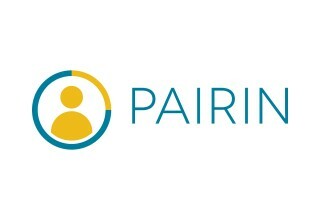 PAIRIN is a social enterprise software company whose mission is to make education more relevant for students and their future employers by integrating essential skills development, measurement and growth tracking into any curriculum or job.